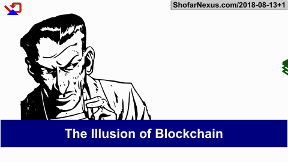 ShofarCoin is in an electronic monetary system but is NOT based on blockchain. 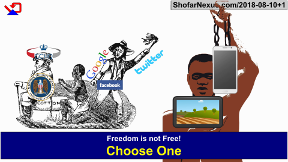 It is focused on making transactions, local or global, instant and virtually free. It is NOT a way to make money on the manipulation of money, but to allow the transactions of goods and services to benefit the buyer and seller and not the financial system. It is designed to be as untraceable as physical coin. It can be used for offline transactions with limited risk. It is built on a vast number of local repositories with exchange agreements and there is no central fund. It is simple technology and therefore easy for even the novice to understand and does not require a vast enterprise to develop or localize an implementation. The model is compatible with the producer credits or self-issued credit described at the Money As Debt website (http://moneyasdebt.net). Consider a simple physical transaction. Assume funds are in the form of coins worth two different values, one US penny, and one US dollar. Alice has $75.50 consisting of 75 $1 coins, and 50 penny coins. Bob has $32.20 consisting of 30 $1 coins, and 220 penny coins. Alice wants to pay Bob $12.75. To complete this transaction Alice does not have the 75 penny coins, therefore will give Bob 13 $1 coins. Bob must then return to Alice 25 penny coins and the transaction is complete. In our physical world example we can see the transaction is simple mathematically, but we may find the number of coins exchanged a burden. To reduce this burden we have coins of a large variety of values to allow the same value but fewer coins to be exchanged. An equivalent bank exchange could be done with a paper check, electronic check, credit card, wire transfer or similar techniques. It would be a single message that states to transfer the $12.75 from Alice’s account to Bob’s. What we gain in the bank’s version is the convenience that we don’t have to carry all the coins or do the math. What we lose is that the transaction is monitored, as a permanent record exists, it is based on fiat currency, and there is a modest but real cost to the transaction paid to the financial institutions. The transaction using the ShofarCoin model consists of Alice and Bob having the coins in electronic form. Unlike an account were you simply have a balance, Alice and Bob have a collection of uniquely identified electronic coins. When the electronic exchange occurs between Alice and Bob, it is not a single message but a large number of individual messages that transfer one coin at a time. This is a lot of simple messages going back and forth which we will examine more later. For Alice and Bob it is probably a fraction of a second and much faster than using individual coins. The storage of electron coins is done in a Portfolio, which is similar to an electronic wallet, but more robust. It can be on a portable device, in a home computer, in a private online computer or hosted by a third party that would have limited or no ability to access the data. For the moment, consider it a place to store the collection of ShofarCoins. The simplest transaction would be one that occurred offline. In this case there is a level of trust required, but it is useful to understand the flow. Alice and Bob would have an electronic device, such as a cellphone or tablet computer, and each would be running a program that managed a Portfolio. An ad hoc connection would be established between the two devices, perhaps via Wi-Fi or Bluetooth. One party would enter the amount to be exchanged and the other party would then confirm the exchange. Both parties would then be notified of the completion. What is happening is an exchange of cryptographic keys that will be used to formally complete the transaction with the coin issuers. There is a clear risk that a malicious party could reuse the coins, so offline transactions should only be done in certain environments, but the main point is that they can be done. A farmers’ market is an ideal example where it is frequently the same people and the transactions are of small values. A community or even farmers’ market only currency could be used. Offline is not a good model to buy a house or car. An offline transaction eventually needs to be completed online, but most transactions would probably be done fully online. What happens for each coin is the sender essentially returns the coin to the coin issuer and the issuer sends a new coin to the receiver. For the moment think of an issuer as an entity that has a given amount of coins that can be issued. When a holder of a coin wants to transfer the coin to a new party, it is returned to the issuer and the coin’s identifier extinguished. A new coin is issued with a new identifier and sent to the receiver. How this is done is an electronic token is sent from the sender to the receiver of a coin. This can be done offline. The sender then sends the coin and the token to the issuer with the anticipation that the transaction will complete within a limited time. The receiver sends the token to the issuer requesting a new coin. The issuer then validates the token and original coin, extinguishes the original coin, issues a new coin and send it to the receiver. The sender is then informed that the transaction is complete. At this point it is important to note that an individual coin has an identifier that specifies the issuer and expiration date. Only the issuer and the holder of the coin know the identifier. When the holder sends a token to the receiver, it is random and there is no relationship to the coin’s identifier. The new coin’s identifier is only known to the issuer and the receiver. These transactions are based on the Matryoshka protocol, which is beyond our scope, but it should be noted that this hides all metadata in the communications. Therefore while the sender and receiver have the ability to identify the issuer, the issuer has no way of knowing who or where the sender or receiver are. It is possible, with agreement of all the parties involved, to expose the identifiers and show a relationship between the buyer and seller. However, inherently the issuer has no ability to find out the identity of the holders without their cooperation. If a holder, once a coin is returned, erases the identifier, which can be automatic, there is no recovery process to show that the coin was once in possession of the former holder. We will expand on the issuers in a moment. For now lets look at some of the possible ways a transaction can occur. If both parties are online with individual connections to the issuer, and a connection to each other then the process is simple as previously described. A slight modification to this might be in a case where a customer with a portable device interacts with a merchant that has connection the issuer. The customer could connect via an ad hoc connection, similar to described for the offline transaction, to provide tokens to the merchant. Using the same connection via Matryoshka trough the merchant’s connection, the buyer can connect to the issuer. Even though both sides of the transaction are coming from a shared IP address, because of the Matryoshka protocol, the issuer will not be able to know this. The customer could be using an external agent that is essentially his portfolio online and then all that is required is a way to identify the customer. For example the customer could have a typical magnetic stripe card, or even a paper card with a simple QR code that the merchant’s device could use to interface to the customer’s online agent. From the customer’s perspective, he needs to identify himself with the card, validate it is him, such as with a PIN, and then verify the transaction. This is virtually identical to common credit card transactions today, but most likely much faster. Since there is no need to tie the online agent to a formally identified person, a disposable agent option becomes viable. For example a simple paper card that identifies the bearer to the agent could then be used for things similar to prepaid credit cards. Funds could be deposited into an agent, and possibility limited to one time only. An identifying card is provided to a user, the funds consumed, then the card would be discarded as well as the online agent. If the card is lost, unless the agent is designed to keep the coins is possesses in circulation to prevent expiration, the agent, and the funds, would naturally expire. Online agents could be useful even when the user has an electronic device. The agent, since is belongs to the user, could act as a backup provider or an alternative way to exchange coins when the user is not in possession of the electronic device. There is a concern if the agent is hosted by a party that may not be fully trusted, as the user’s data could be compromised. The user’s agent could be on a private device located at a secure location, such as a home or office. This would keep the user’s private data physically private to the extent that the location is secure. A user might limit their exposure by using an online broker agent that has possession of some of the user’s coins. If this agent is compromised, the loss is limited. This can be tied to an identifying card or an electronic device. In a similar way, the user could have an electronic device that is used for the sole purpose of managing some of the user’s coins. We now see the transaction flow, but what are issuers? An issuer is a party that brings value to the coins by backing them with products, services or assets. This is the self-issued credit or producer credit model. An issuer issues an amount of coin based on a value being offered. The coin is given an expiration date that limits the issuer’s liability for the coin. Once issued, the coin starts in a stable period where it can be freely exchanged as many times as required. Eventually it enters a redemption period where it remains with the same value, but once returned to the issuer, it is extinguished. If a holder does not return the coin during the redemption period and before the expiration, the value is lost. A portfolio would normally automatically exchange coins that are nearing expiration for new coin without the user’s intervention. The most likely case of a coin reaching expiration would be due to a disposable agent not being used, perhaps due to the loss of the identifying card. A product issuer is a party that will deliver a certain product and needs resources to produce that product. What is being issued is value based on the future delivery of a product. Examples might be a farmer growing tomatoes, a carpenter building chairs, or a large factory building cars. The holder of the coin essentially owns part of the product at delivery. During the time that the coin is issued, and the product is deliver, the coin can be exchanged even among those who have no interest in the product, but just the value it represents to allow exchange for other purposes. This is essentially identical to using fiat currency, but has a stronger tie to a physical product. The stability of the system is partially based on the expiation time. If a coin is issued before planting time of tomatoes and expires after harvesting time, then new coins are issues for the following season, there is long-term viability for the coins by exchanging coins nearing expiration for newly issued coins. The tomato market example could expand or contract which keeps the system stable as it it based on real product. A service issuer is someone who will deliver a service by the expiration time of the coin. For example a barber offering haircuts, a carpenter offering general labor, or a group offering a security team. A barber might start with offering 1,000 coins each good for a haircut and exchange some of those coins for the tools of the trade. After perhaps 100 coins have been extinguished because the service was delivered, 100 new coins could be issued expiring some time after the originals. This process could continue, expanding or contracting as the barber sees fit. If the barber decides that it is time to retire, he could simply stop issuing new coins and the system remains stable when the current coins are extinguished. An asset issuer is in ownership of an immutable item, such as a quantity of physical coin or land. The ShofarCoins issued against the asset states that at redemption time the asset will be turned over to the coin holder unless exchanged again for other coins. For example an issuer has 100 silver coins worth $10 each. 1,000 ShofarCoins are issued with a value of $1 each. During the stable period the coins can be exchanged as normal. During the redemption period a holder of 10 coins could redeem them for one silver coin on demand. If the coins are constantly reissued, then in a sense this is no different than the fiat money of today in that the issuer with 100 sliver coins could instead of issuing 1,000 ShofarCoins at $1 per coin, issue 10,000 ShofarCoins at a $1 per coin. This is fraud, but as long as the coins are being exchanged, it is the same fraud as the US Dollar. We see the potential fraud when more coins are issued by an asset issuer than the issuer is in actual possession of. Our tomato farmer could issue coin for 10 times what is actually anticipated to be harvested, or the service provider could issue coin expiring in a year but worth 10 years of labor. How is this fraud mitigated? To address this we must first look at trust relationships. To gain an understanding of trust relationships, consider the example of the Canadian Dollar, US Dollar, and Mexican Peso. 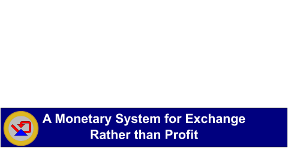 There is a value relationship between each currency and parties that will for a fee convert one currency to another. Therefore a person, using a third party to convert the funds can use a Canadian Dollar to purchase food in Mexico. However, because of the conversion cost, $1 may result in perhaps $.95 in food. Using our ShofarCoin examples small groups could establish exchange agreements between the coins they issue. For example our tomato farmer could agree with the barber and chair manufacture that one chair is worth 10 haircuts or 100 tomatoes. This relationship is not controlled by third parties, but just the parties involved. What you could essentially see is that if you were the holder of a coin worth one chair and wanted a haircut, you would give your chair coin to the barber and receive nine haircut coins in return. Perhaps you wanted to tip the barber, you could give him a haircut coin and receive five tomato coins in return. In one sense this is very straightforward, but in another it seems weird. However, when you use fiat money you are essentially doing the same, but the funds are backed with nothing rather than tomatoes. Our chair, haircut, and tomato example is sufficient to seed the monetary exchange as another party could use the same coins to buy a gallon of milk if all parties involved used the same currency. Grow the example to a modest community of perhaps a thousand in the labor force or service providers, and 100 farmers or other producers. Each would have several, but not an exhaustive list of trust relationships. How would our barber or service provider in the west side of town purchase a gallon of milk from a farmer or producer on the east side of town if they do not have any direct exchange agreements? Remember that when we used a Canadian Dollar to buy food in Mexico there was a cost in the exchange, while with ShofarCoin there is essentially no cost. Because there is no cost and therefore no money to be made in the transaction, the monetary barrier is gone in going through numerous issuers for the barber to get the gallon of milk. If these relationships were all handled by hand or individually negotiated, this would be unreasonable. However, it can be done with simple algorithms on the buyer’s or seller’s computer or agent to determine the path of exchange, and then execute the exchange. In our example the barber may exchange a haircut for tomatoes which in turn are exchanged for vinegar, which is then exchanged for a period of painting services, which finally exchanged for the milk. While it may seem a bit odd, in reality it is simple, straightforward, and doesn’t require any party or institution outside of the community. Since this is done by the computer, from the perspective of the barber and the farmer, it was a simple sale done with coin. If one of the intermediary issuers in the trust relationships is an asset issuer, other options then exist. If we expand our example to two communities. It may be that community A is buying more from community B than they are selling. One solution is that an asset issuer in community A could physically move assets from or to community B as required. It may be this is constant or seasonal. It allows for moving of funds to allow the continued exchange of coin between the communities. Even if our community does a large percentage of is business within the community, there will still be a need to do exchanges for fiat currency. An issuer, which could be an individual, a merchant or other options, could issue ShofarCoin with a fiat currency value and establish trust relationships. This allows the local barber to get a gallon of gas and get tomato coins as change. It also allows the visitor to the community to use fiat currency to buy local tomatoes or get a haircut. Looking again at risk, since our cost of moving coin around is essentially zero, our portfolio or agent can then manage our assets by limiting the amount of coins we have from any single issuer. If a loss occurs for any reason, the impact on us is limited. Comparing the risk involved with the known loss that otherwise occurs in fees, insurance, interest and perhaps mostly inflation, our distributed risk or actual loss will probably be lower. You can store your coins online in several ways. If it is to be available for immediate use, you can use an agent. This is essentially another portfolio for you to access from your computer or from an identifier. There is no limit to the number of portfolios you can have. However, if the portfolio can be used for transactions, then the data in the portfolio could possibly be exposed to the hosting party. You can also have an online portfolio that is not available for live transactions, but is simply an encrypted file that the host has no knowledge of the contents. This model allows you to essentially have a savings account that is only accessible to you when you retrieve and decrypt the portfolio to make use of it. As with an online, you can do the same offline in that you can have a portfolio that has an amount of coin and store it on a USB drive, DVD, or other storage device. This can be hidden in a mattress, buried in the ground, or hidden in any way you desire. Unlike buried treasure, it does have an expiration. There is a cost to perform the financial services, and in the banking model a fee is typically paid by the merchant, or in the cryptocurrency model perhaps a mutually shared fee. In the physical coin model there is the labor cost of handling the coins, but no fee for the transaction unless the coin is then deposited in a bank. In the ShofarCoin model the cost to the buyer and seller is simply the cost of communications. However, the issuer has a real cost to host the service and needs to be able to at least recover those costs, but it is not a real form of profit. A method is needed to ensure if a malicious party started to exchange a large number of coins back and forth to essentially perform a denial of service attack that there is at least a modest cost to the attacker and some reward to the issuer. 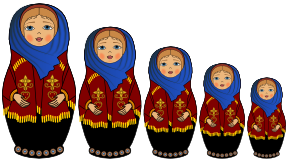 In the Matryoshka protocol is a method for per message payment. Using this technique it might take a large number of transactions to pay a penny to the issuer. The cost is almost non-existent for a normal transaction but gives a cost to the high speed trader. With a large number of issuers and a modest amount available to each issuer then attacks become unreasonable. If a particular issuer had $1000, and an attacker wanted to disrupt that issuer over an extended period of time and the cost to the attacker eventually exceeded the value being issued, it is the attacker paying the cost, and the issuer loses no assets, but gains the value of the attack. Paper and electronic funds greatly ease monetary transactions over physical coin. However there is a real cost to minting physical coin, printing paper money, processing banking transactions, or mining cryptocurrencies. The ShofarCoin model makes that cost almost zero. ShofarCoin is not a single fund model. Even though modern banking and cryptocurrencies are physically decentralized, they remain logically a single entity. 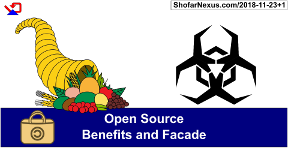 A ShofarCoin issuer provides for only a local community or particular market. With exchange agreements, this model can spread between communities and between countries. With all forms of asset storage there is a cost and a risk. It is likely that these are lower with ShofarCoin than other monetary systems. 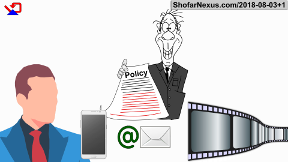 The ShofarCoin model can be used in different scenarios. For example a farmer has some land and wants to plant tomatoes with an anticipated minimum yield of 1,000 tomatoes. To obtain the funds necessary he issues 1,000 ShofarCoins valued at 1/1000 of the total yield. Those that invest in the farmer’s coin provide the farmer the resources to plant, tend, and harvest the tomatoes. If the yield is higher or lower than estimated, the investors get a proportional return. A slightly different model is the farmer sells 1,000 tomatoes before they are planted in the form of ShofarCoins. If the farmer’s yield is a greater number, the farmer gains the benefit. If the yield is smaller, the coin holders take the loss. This model is ideal for stable communities, where various members of the community can continue to invest in and benefit from particular farmers. Similar models could be used to fund artistic projects, to business ventures. It can also be ideal for a donation model to allow anonymity of the giver, especially those who are offering the widow’s mite, but it is the gift of the mite and the heart behind it, rather than the identity of the widow is that is important. 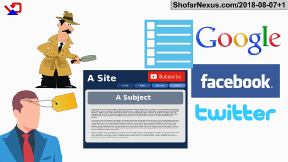 ShofarCoin is an integral part of ShofarNexus.